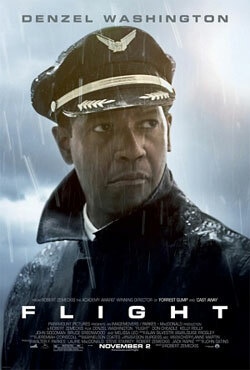 This 2012 film starring Denzel Washington follows an airline pilot struggling to take control of his life. A substance abuser for decades, he nonchalantly uses drugs and alcohol, even as he pilots airliners across the country. When he disaster strikes, can he trust on his instinct to carry him through the turbulence? This is the best character that I’ve seen Denzel Washington play since he was Alonzo in Training Day. Captain “Whip” Whittaker in Flight is a deep, convincing character who is believable throughout the films twists and turns. I don’t believe that Washington’s performance is matched by his co-star Kelly Reilly, but John Goodman and Don Cheadle are as good as you expect them to be. This is a character driven film and Denzel Washington pulls it off. Some of the sequences feel drawn out, but the conclusion is powerful and will make you think. The film has one action sequence which is breathtaking. Worth watching.